How would you feel about dieting and going to the gym, but never weighing yourself? Would you feel accomplished after taking a test and never seeing a grade? Prayer felt like that for me until I developed the practice of keeping a Prayer Journal. In my spiritual tradition, there are two kinds of prayers – liturgical (from the prayer book, done either communally or privately), and a solitary, free-form prayer called hibbodidut, in which we talk to G*d in our own language, as if to our closest friend. Both have their important advantages, but neither of them offers a way to keep track of the effects of prayer itself. For an evidence-and-results-oriented person like me, who needs to see it in writing for something to be real, keeping a Prayer Journal has become an exercise in faith-building. Prayer Journaling is a practice that came to me sometime around 1995, a time during which I was incredibly busy as a single mother raising four children, ranging in age from eight to fourteen. I was doing a lot of praying, and a lot of asking for help! It was my practice at that time to get up at 4:00 a.m., carving out the only “Me-Time” I would get the entire day, which officially began at 6:30 a.m., when my kids would awake and get ready to leave for school at 7:30 a.m.. This was my ritual: I’d have my coffee, read four chapters (one from each of the four sections: Torah, History, Poetry and Prophecy) of the TaNaKH, and pray in those dark morning hours, when I was (blissfully, gratefully) the only person awake. After prayer, I’d always write in my journal – a practice I’d begun in 1972, at the tender age of 14. During this eventful (and stressful) time when my children were transitioning into preteens and teenagers, I began to notice that much of my journaling was being taken up with needs and concerns about my family that had been in my heart during prayer. I decided to create a separate place for those needs: a 3-ring notebook in which I put separate pages for each of the (several, many) people and things I was praying for. Each page had a title: A page for each of my children with their name on it, of course; the name of my spiritual community as well. Pages with titles like Work, Healing, Israel, Help, in which I recorded prayer requests pertaining to those categories as well. I began by simply putting bullet point words or phrases on each page as they came to me during free-form prayer. On the Healing page I’d write the person’s name and date, often the particular malady as well. When good news came, I’d record that as well. On the pages for my children, I’d write specific concerns (safety, protection, direction, etc.) and when answered prayer manifested in some form, I’d record it there as well. Often during my TaNaKH reading practice I’d come upon a verse or section which directly addressed whatever I’d been praying about. I’d jot down that verse, or maybe just the address next to someone’s name or on a page where it fit the person or situation. Because I used a 3-ring notebook, I was able to add pages whenever I needed to. The pages grew in number over time! Every so often, I’d archive some pages and put in fresh ones. Shortly after starting this practice, I saw that I was able to keep track of answered prayer. This is the point of the soul-hack, the payoff: evidence, written in my own hand, of a living G*d, Who hears and answers prayer. In moments of doubt and fear – and as a single mother, there were many – I could turn to that notebook to see with my own eyes that G*d was faithful, over and over again, and that the track record of answered prayer proved that my current fears were unnecessary. What was needed was faith, not fear. Faith, for me, was greatly enhanced, stimulated and nourished by this way of keeping track of my prayer life. Another unforeseen, but wonderful benefit was the exponential growth of my gratitude, and with it, my ability to truly give praise and thanks – both during communal or private prayer, as well as during my private free-form prayer time. 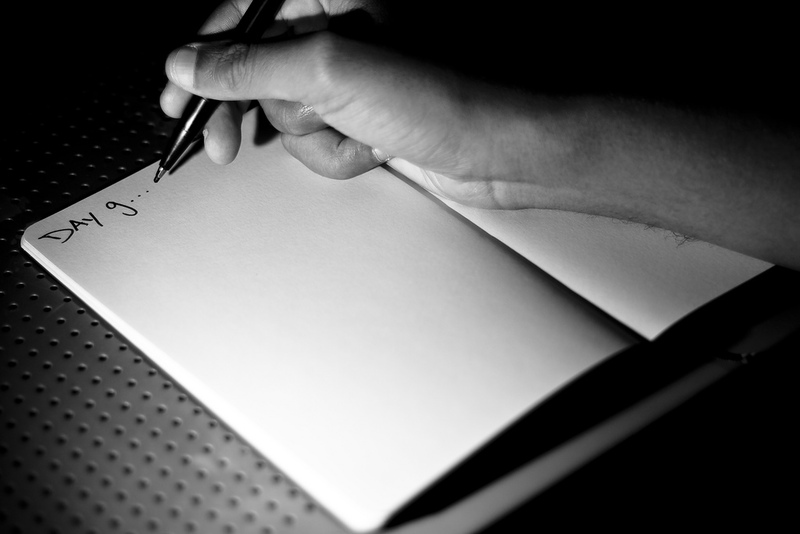 The passion, quality and feeling of connectedness generated from Prayer Journaling is the payoff for the investment in time and commitment to practice. For a spiritual practice that will pay off in the short and long term, I heartily recommend creating a Prayer Journal. It doesn’t have to be complicated. You can go the 3-ring binder way that I did, or just use a notebook or a blank journal. The point is to have freedom and lots of blank pages available. Don’t make it too complicated; use short bullet points and phrases or key words to remind you what you’re focusing on in any given situation. Keep it private, it’s just for you and G*d. Make it pretty if you want; use colored pens and draw on the pages, or keep it plain and simple. It’s entirely up to you. Prayer Journaling will change your prayer life in unexpected and wonderful ways! If you’re up for a creative spiritual journey into your own soul, Prayer Journaling is the way to go. Enjoy!